So, today I went to my first exercise class in over 18 months. Buggyfit is where mums meet up at a local park with their babies in the pushchairs and work out together, led by an instructor. I went with a friend and I really enjoyed it. I didn’t have the right clothes – sloppy joggers and a few crappy T-shirts – although I did have a massive sports bra to hold down my knockers (which pre-breastfeeding were mini) and my beaten-up running shoes, but I know that if I start faffing about worrying about what to wear, I’ll put it off and before I know it, it’ll be summer! I was slightly nervous as I’ve not lifted so much as a finger for so long, but it really wasn’t as bad as I thought, in fact it was quite a laugh! It certainly challenged those muscles that have been lying dormant (I’m gonna feel it tomorrow!). Mums of all ages and sizes were there – so I certainly didn’t feel out of place, which was a relief. There’s nothing worse than joining a new class and feeling like the beginner, but I kept up and did just as well as many of the regulars, so that was a boost! I’ve never been one for exercise, at all, but in 2011 I joined a local women’s running group and my addiction to exercise was born! 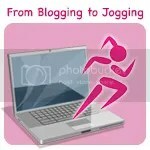 I realised I CAN run, and I CAN work out – I DON’T look stupid (well not all the time! ), and I DON’T get laughed at. This girl really CAN! After my daughter died I, I suppose understandably, found it hard to continue with exercise – my routine reminded me of Abi (who was very fit herself) and I withdrew. Getting pregnant brought its own problems and I had to put my feet up with SPD and swollen ankles. It was inevitable I put on a whopping 5 stone, and I suppose equally inevitable that depression crept in. I’ve been on anti-depressants for a spell before, in my twenties. It’s the doctor’s go-to solution for depression. But I found that exercise was the only thing that kept my mood even. This time around, I’ve told the doctor I’m going to try the exercise route again and, of course, if it doesn’t work I’ll go back, but I know that it will. I’m not actually in it this time round to get fit physically (although that’s great! ), I’m in it to heal my mind and relieve some of the stress I find myself struggling to keep on top of. A ‘gym’ with a view! The best medicine! I did wonder, when I read this, whether part of the reason for this gap is because us women are taking on too much, so much in fact we don’t have time to pee let alone put exercise clothes on, get ourselves to a club and work out for an hour. The thing is, it’s not as though women are just not bothered, as it says most of these women want to be more active… I can imagine them ending that with ‘…but I don’t have the time’. While the campaign is a positive one, I can’t help feeling a bit frustrated and guilty. I work hard, to pay the bills. When I’m not working I’m caring for my children. When I’m not caring for my children I’m food shopping or making a dent in the housework mountain. When I’m not doing that I’m in bed watching telly with a cup of tea. Around that, I’m asleep, in between being woken by my baby scrabbling at my breast. I’m worn out! But I want to exercise. I’ve been promising I’ll do it for weeks but they slip by as one thing and then another crops up. In order for me to get one solid hour to myself I have to organise childcare (although Buggyfit has got around that little problem! ), and then make sure everyone is fed and has what they need. So it can all seem a bit of an effort. It took me a long time (30-odd years!) to realise that exercise is never a waste of time, but I don’t think we should feel guilty if we can’t fit much into our week or that we do jiggle a bit. Yet I do know that if you’re stressed, exercise, especially with others, is far better for you than that glass of wine will be (and even works off the calories in that glass of wine! Double plus!). If you’ve never exercised before or think you can’t then I can totally understand why you find yourself using your precious ‘me time’ to watch telly, read a book or get your nails done. Something that isn’t using up anymore energy! But trust me, once you’ve tried exercise you won’t want to stop. And I mean outdoors! None of this I’ll dance about to an overpriced DVD in my lounge, that can come in much later to complement other training. I was embarrassed, worried, unfit. My inner voice screamed at me not to go out the house ‘looking like that’, and ‘you’ll make a right fool of yourself’. But, because I know how much of a positive impact exercising has on my wellbeing, I know it’s essential to make time for it. Exercise outdoors – what better way to start the week? So, I have two one-hour sessions of Buggyfit booked in a week and I’m also trying a Pilates class to help strengthen my back (which has been playing up no-end post-pregnancy), which I’ll do on one of the days Grubbalo is at the childminder’s. Then I can start incorporating some solo runs around the block and see if I can get my enthusiasm back. Abi, I know, would want me to do this. So I have her memory as my motivation. How about you? Do you like or loathe the #thisgirlcan campaign? Has it prompted you to get out and get fitter? I’ve linked this post up with from Blogging to Jogging over at the lovely Budding Smiles, why not pop over and link up too? This entry was posted in My musings about life, Uncategorized and tagged anxiety, exercise, PND, post-natal, spd, thisgirlcan, wellbeing by Chasing Dragonflies. Bookmark the permalink. That’s really positive. Well done to you for getting out there. It’s so true that exercise needs to be outdoors. Time exercising is never time wasted, but, like you say, it’s hard to fit it in sometimes. I’ve been enjoying a bit of extra running with the kids over the last couple of weeks, which is a whole new angle on things – like Buggyfit eight years on! Thanks – it feels so good to be out there again!